Le Montrachet is located in Place des Marronniers, right in the center of Puligny-Montrachet, kitty-corner to Domaine Leflaive and a stone’s throw from many of Puligny’s other top estates. I have never stayed in the hotel, but I have had several fabulous dinners here over the years. In the summer months, the outdoor terrace is a great place to spend several hours exploring Le Montrachet’s extensive list and savoring the best the kitchen has to offer. There is a certain joy in simplicity. This fabulous, leisurely dinner at Le Montrachet is a great way to celebrate a dear friend’s birthday. What could possible be better than two epic bottles of Domaine de la Romanée-Conti’s Montrachet? 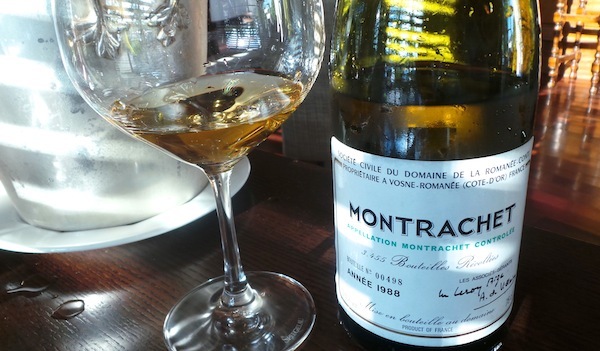 An exotic, totally viscerally thrilling wine, the 1988 Montrachet is simply off the charts. This isn’t wine. It is something else entirely. Rich, textured and beautifully resonant in the glass, the 1988 overwhelms the senses with its dazzling richness and honeyed, caressing personality. Orange jam, mint, butter, spice and mango notes abound in an extroverted, totally seductive Montrachet. I don’t want the 1988 to ever end, but, like all great bottles, it is polished off pretty quickly. Slate, crushed rocks, yellow orchard fruit, candied lemon, almond and sweet floral notes emerge from the 1996 Montrachet. Vibrant, linear and nervous, the 1996 is utterly spellbinding. Neither youthful nor mature, the 1996 is at an intermediate stage in its life, where, to tell, the truth, it is probably best left alone. Still, it is quite a privilege to taste and drink this extraordinary, towering Montrachet over several hours. Today, it is the wine’s exquisite finesse, razor-like focus and eternal finish that impress most. The 1996 will thrill readers who are lucky enough to own it for many, many years. In a word: stunning! My roasted langoustines are to die for. Perfectly cooked and intensely briny, the langoustines taste like they came right out of the ocean. What a fabulous dish this is. The combination of vibrant shellfish notes marries beautifully with the textured, voluptuous richness of the 1988 Montrachet. Talk about a pairing! 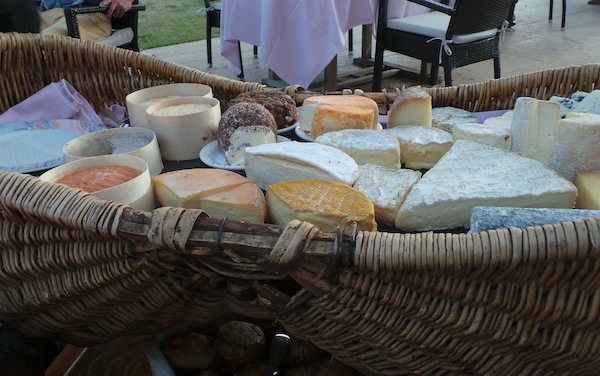 Le Montrachet’s cheese selection focuses heavily on local favorites and is not to be missed. The racy minerality of the 1996 Montrachet provides a gorgeous counterpoint to the richness of the cheeses. In a perfect world, I would have had the 1996 first then the 1988, but we started with the 1988, and after that the only thing that truly would have worked is another bottle of the same vintage. I didn’t order the escargots on this visit, but they are among the best versions in Burgundy and are highly recommended. 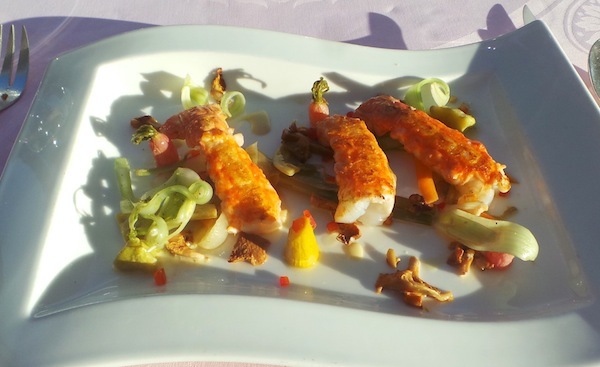 I enjoyed two fabulous meals at Le Montrachet during my trip to Burgundy this past summer. Food and service were both first-rate. Sitting on the outside terrace and enjoying the surroundings is one of the great experiences in the Côte d’Or. I can hardly wait to go back.